Just in case you are wondering exactly how to use Aquinelle Toilet Tissue Mist, here is what we have found to be the best method of misted tissue wiping. When you go the the bathroom, just take a length of toilet paper and fold it into quarters. Then grab your toilet tissue mist and spritz a bit on it. Next, wipe. Repeat, as needed. It couldn’t be simpler, and a little bit of mist goes a long way. You will feel much fresher ... and more responsible to the environment. 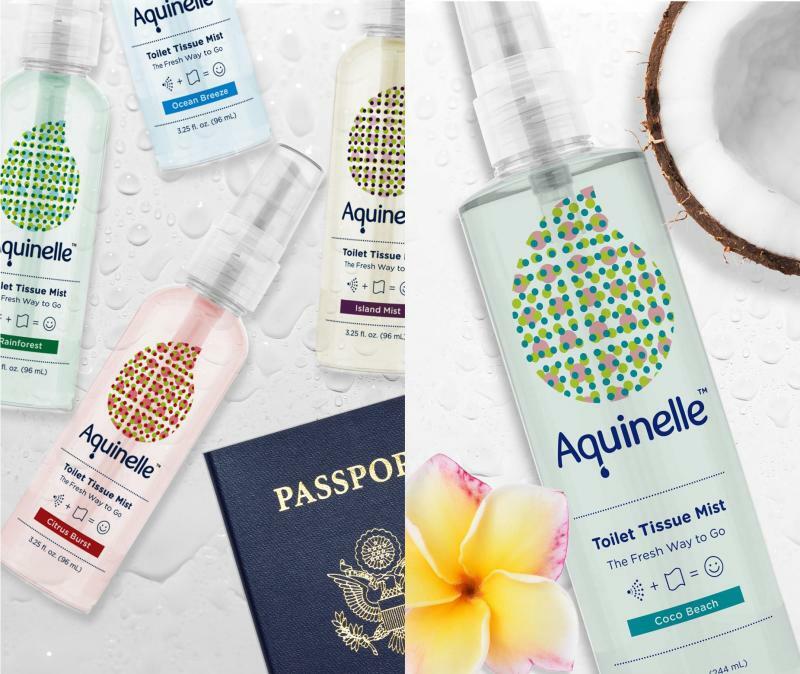 The side benefit of using Aquinelle Toilet Tissue Mist is that you have six sweet hypoallergenic and dermatologist-tested scents to choose from: Ocean Breeze, Island Mist, Rainforest, Citrus Burst, Coco Beach, and Pink Grapefruit. These light mists have the added benefit of making you feel a little fresher when you make. So it's a win-win, both for the planet and your personal hygiene. Along with imparting the sweet scent to your privates, Aquinelle Toilet Tissue Mist can also sweeten the air of the bathroom you are using, whether at home, work, or as a guest. Knowing that you've left the bathroom smelling fresher that when you found it is just another side benefit of misting. Give your tissue a squirt and the room a squirt. And give yourself a big pat on the back for helping the environment. Do you prefer the dry touch of Scott toilet paper, the buttery soft touch of Charmin, or the sturdy yet gentle wipe of Northern Quilted? Or maybe you want to really reduce your carbon footprint by going with Seventh Generation? Whatever brand of toilet paper you prefer, you can be sure that when it’s used in combination with Aquinelle Toilet Tissue Mist, it’s the perfect combination for hygienic wiping. Because the spray is light, it won’t reduce the bath tissue to a wet lump. Just fold so that you have a few layers of toilet paper before you spray. Then give a little spritz to add some moisture to your wiping. To get started with your environmentally friendly wiping, see the complete line of Aquinelle Toilet Tissue Mist on our web site.